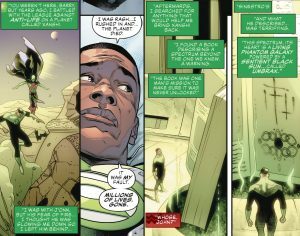 DC Comics Universe & Justice League #3 Spoilers: The Legion Of Doom Strikes As John Stewart Attacks! 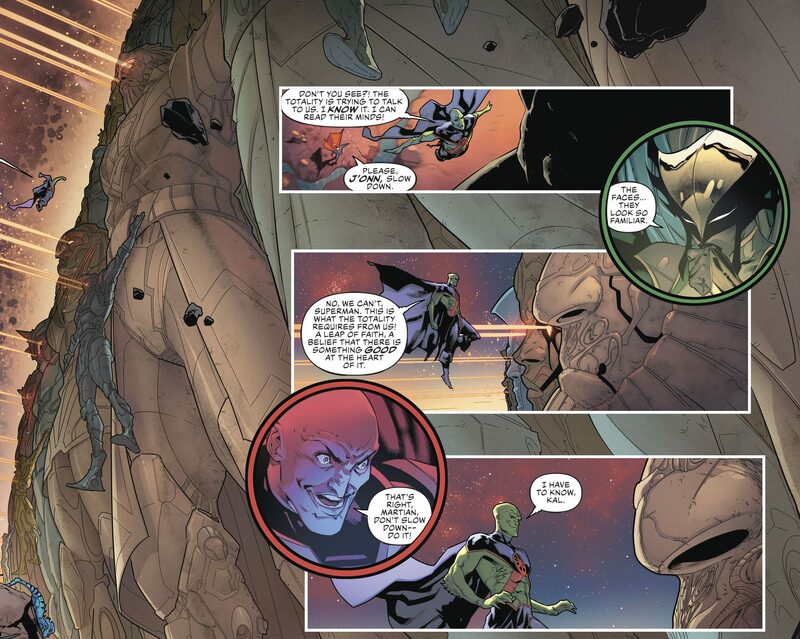 What Are Lex Luthor, The Joker & Sinestro Up To? 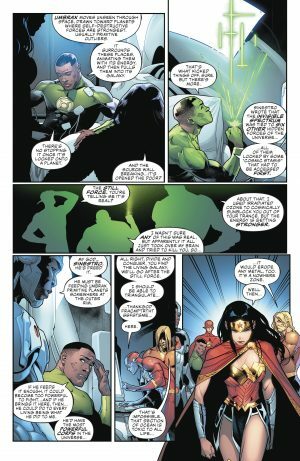 Umbrax & Still Force Explained? 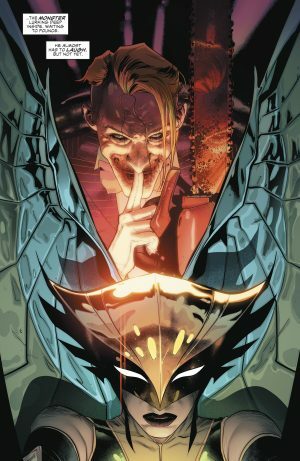 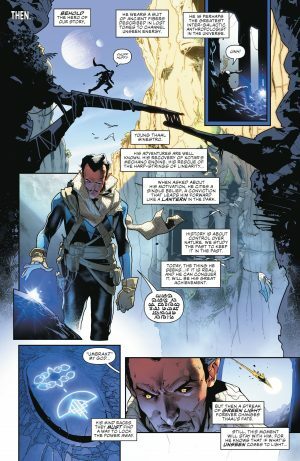 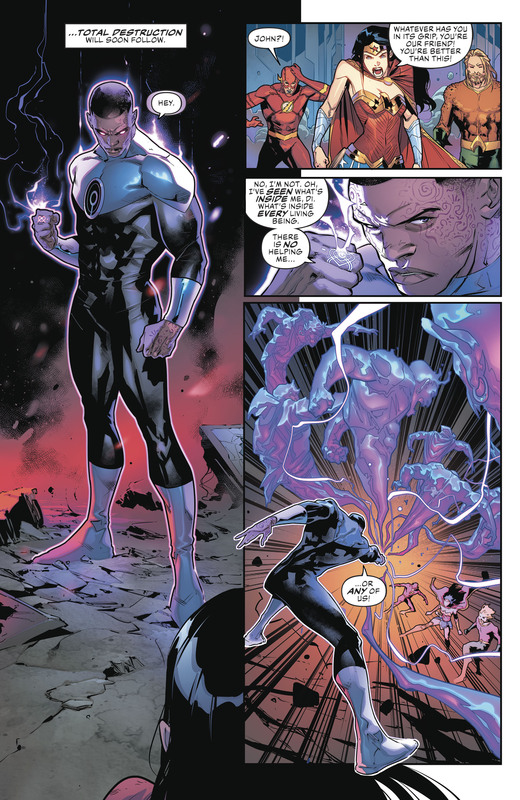 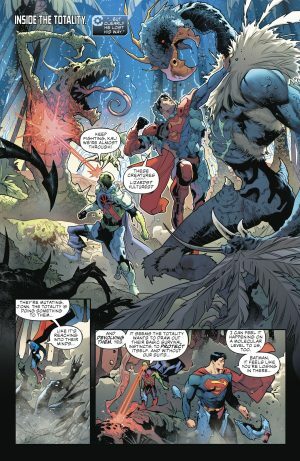 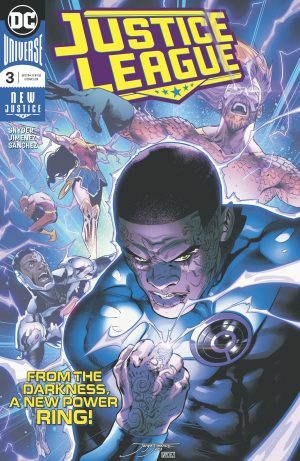 DC Comics Universe and Justice League #3 Spoilers follows. 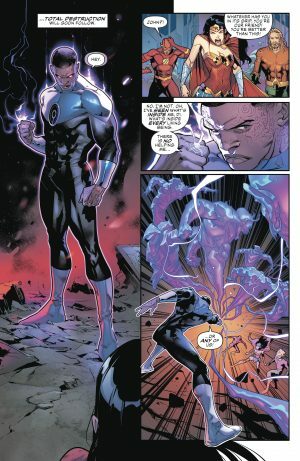 The Legion Of Doom Strikes As John Stewart Attacks! What Are Lex Luthor, The Joker and Sinestro Up To? 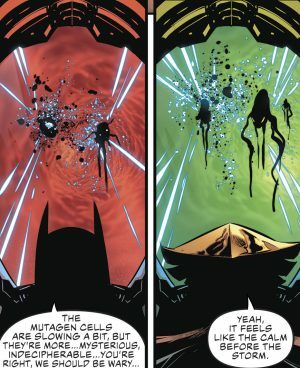 Umbrax & Still Force Explained? The book opens with Sinestro in the past as a cosmic archeologist it seems searching for and finding powerful symbols; one the sign of justice or fate as established in previous issues plus a new symbol. 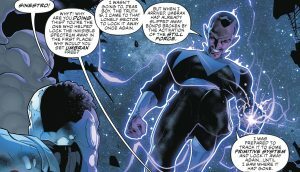 Then we pivot to the present where John Stewart is Green Lantern no longer, but held in the sway of the Ultraviolet emotional spectrum energy; an Ultraviolet Lantern so to speak. 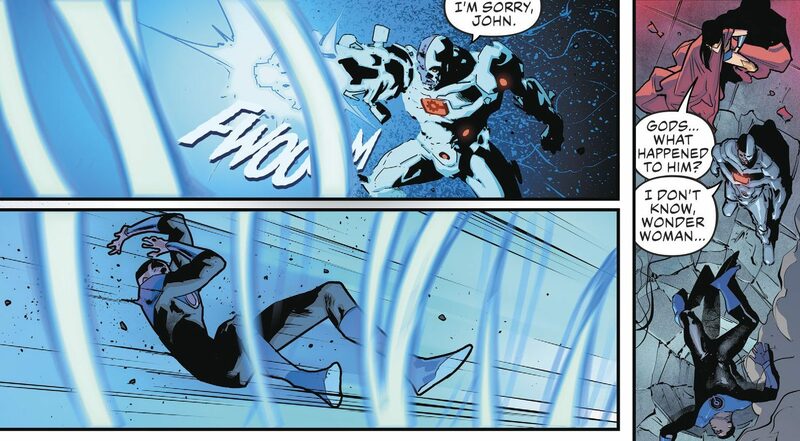 He soundly defeats the big guns of the Justice League – minus Superman, but more on that later – and is defeated by Cyborg. 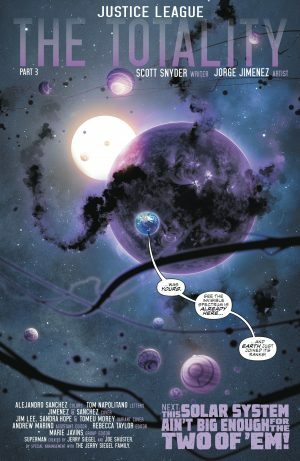 …when John Stewart was trying everything to bring a world’s dead populace when he and Sinestro found the Ultraviolet spectrum fueled by a sentient black sun called Umbrax; a being who feeds on worlds a twist on a Sun Eater. 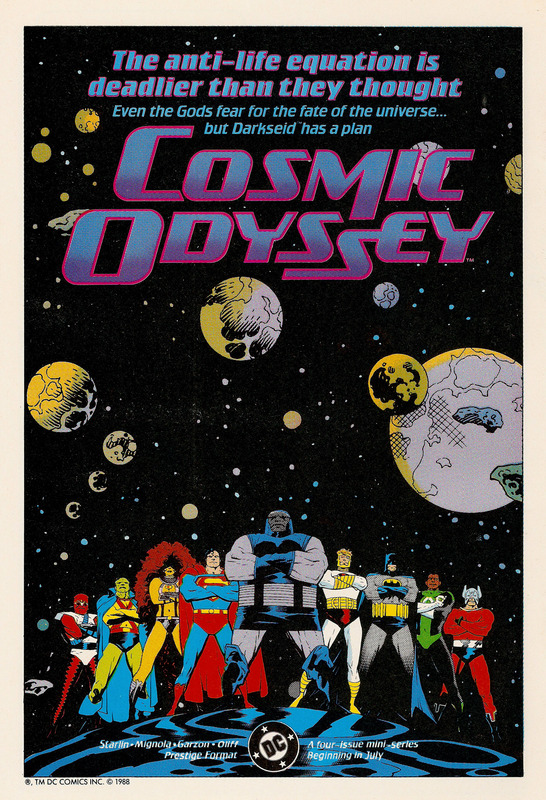 …he further explains that the Source Wall breaking at the end of Dark Metal exacerbated things cosmically. 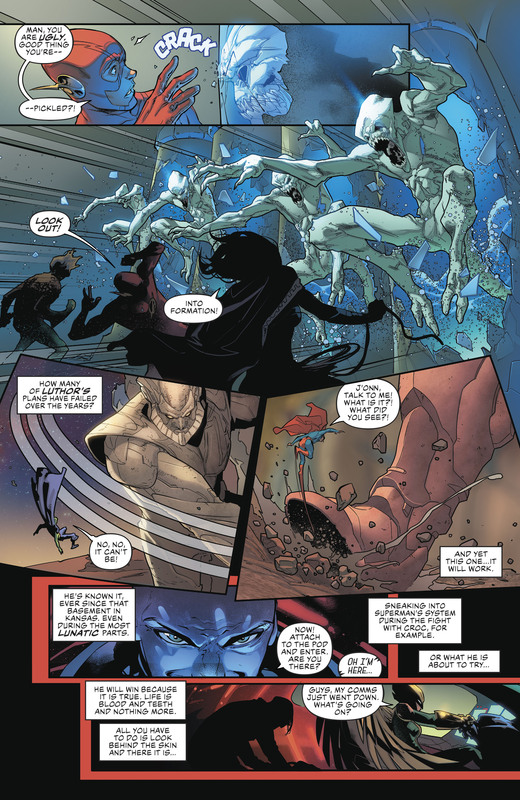 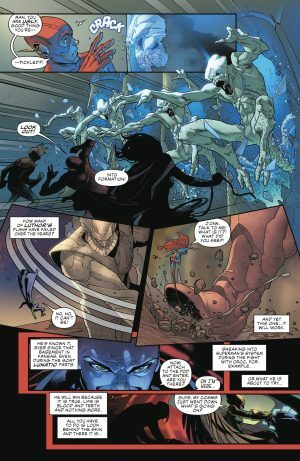 The invisible spectrum, the Ultraviolet spectrum fueled by Umbrax, connects the other six hidden forces of the universe including the Still Force. The Flash tracks down the Still Force as a way to track down Sinestro who they believe freed Umbrax enabled by the Source Wall breaking. …with microscopic Batman fighting the affects of the Totality in Superman’s body while Hawkgirl does the same in Martian Manhunter’s body. 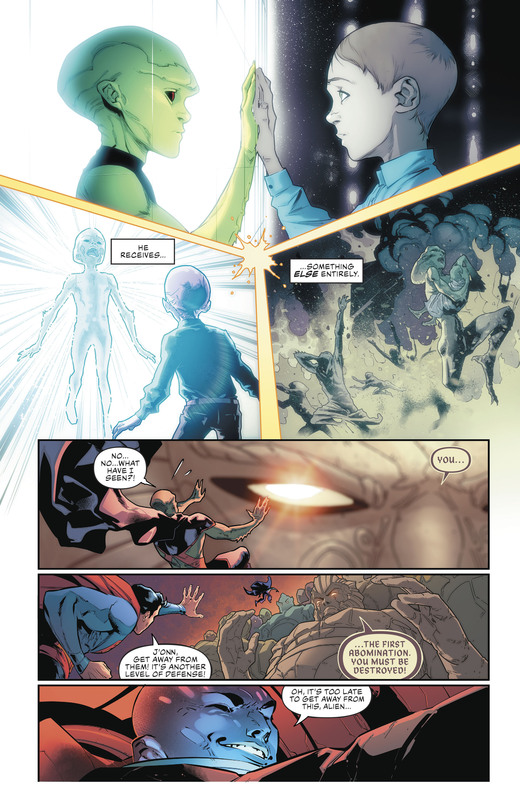 Superman and Manhunter find what looks like the Source Wall and the Martian Manhunter is called to it to learn things; we also see Lex Luthor pleased to see Martian Manhunter seduced by the wall. As we learned last issue, Lex Luthor is a microscopic stowaway in Superman! 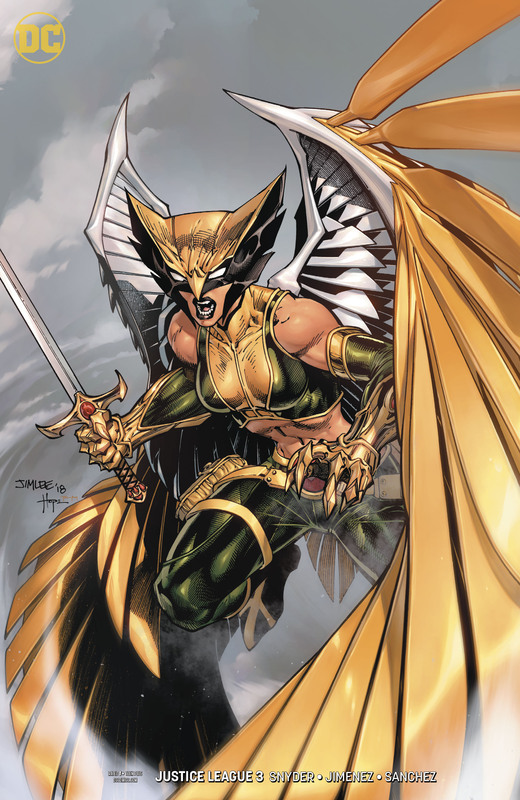 …who turns out to be a microscopic Joker who has infiltrated microscopic Hawkgirl’s pod inside the body of Martian Manhunter.